Just like its two predecessors, the animated movie Despicable Me 3 starring the voices of Steve Carell and Kristen Wiig debuted at the top of the box office this holiday weekend, beating out Transformers: The Last Knight for the title of box office champion. Continuing to earn strong numbers at the box office was the DC superhero flick, Wonder Woman. 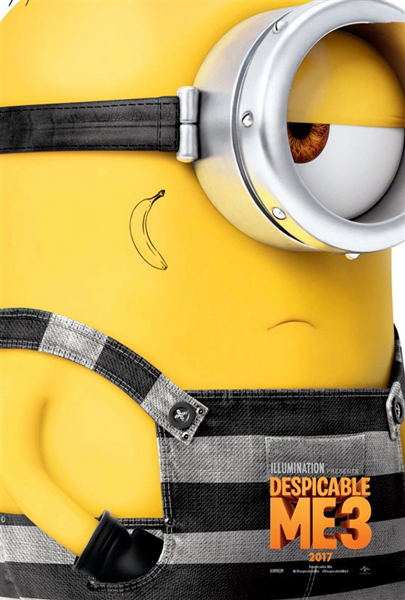 Despicable Me 3, offering not only those adorable Minions but a double dose of Steve Carell as the former villain Gru and his long-lost twin brother Dru, had a strong debut weekend, earning a very respectable $75.4 million at the North American box office to be crowned box office champion. Audiences love this latest installment in the franchise, giving it 3 out of 5 stars. Baby Driver, starring young heartthrob Ansel Elgort, which had an early opening on Wednesday, sped off with the hearts of audiences, debuting at second and taking in $21 million at the domestic box office. It has a high rating of 4.1 stars from users on this site. Transformers: The Last Knight starring Mark Wahlberg dropped two spots to third, grossing an estimated $17 million for a domestic total of over $102 million at the domestic box office. It’s no surprise that the film had another successful weekend -- our users enjoyed the movie, rating it 4.1 stars. Only dropping one spot to fourth was the DC superhero film Wonder Woman, in its fifth week of release. This Patty Jenkins-directed film managed to bring in an additional $15.6 million at the box office, bringing the domestic total up to an impressive $347 million. Our users love the movie, rating it 4.6 out of 5 stars.